Hull Material Teak bottom mahogany topsides, copper fastened on oak frames. Other comments: Probably the last Elkins built Vertue. 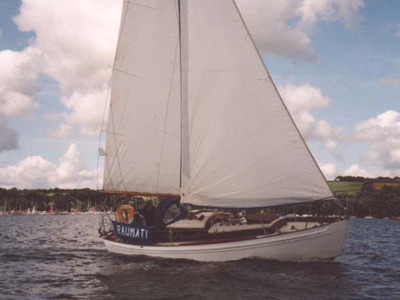 Her Beken photo was used on the cover of the sales brochure for the Cheoy Lee built Vertues of the 1960's imported into the UK by Dennis Hoolahan.